I frequently get asked what breed of dog I have. I don't really know since Rusty was a refugee from a shelter when he came to live with me two years ago. 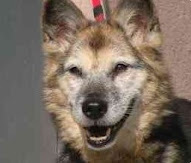 I had been sticking with calling him a Shepherd/Akita mix based upon his looks and temperament, however the more research that I do on dogs and breed specific health issues, the more I wanted to know if I should be concerned. The Wisdom Panel is is a simple DNA test that you can administer at home and send into a lab to analyze. The kit comes with a couple of swabs to rub on the inside of your dog's mouth and a pre-paid mailer. Two to three weeks after the lab's receipt of receiving the package you are emailed with a link to get the Insight report, along with the option to upload a picture. 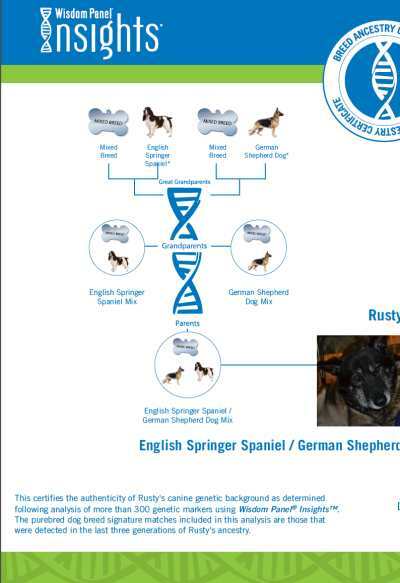 According to their literature, the Wisdom Panel uses 300 DNA markers which are analyzed against some 11 million calculations to give an overview of your dog's background going back to their great grandparents. I went with the Mixed Breed version of the test to determine "What makes up a Rusty Dog?" and found that on one side of his family he has German Shepherd and English Springer Spaniel (the latter being a surprise), while on the other side he has some Chow Chow. I also received a list of breeds that might be included as well, but weren't as prevalent. 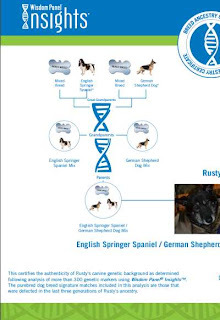 Overall, given the high indicators of mixed breed parents throughout his history, Rusty is probably less susceptible to breed specific issues caused by breeders over breeding within the same family to get particular traits. It doesn't matter to me what kind of dog Rusty turned out to be, but it was an interesting exercise. I'd recommend it to people interested in their dog's background or want to confirm breed specific traits and potential ailments that come with them.